Basingstoke Voluntary Action are working with Hampshire County Council, Rushmoor Voluntary Services, Hart Voluntary Action, Basingstoke & Deane Borough Council plus Age Concern to support Groups and Organisations working with Older and Vulnerable Adults. This is an opportunity for groups to discuss any issues, receive and share advice and guidance, network and raise the profiles of groups involved. There is no intention to duplicate existing forums but compliment and promote where applicable. This initiative is in its early stages but plans are to interact with various organisations and other forums, identify what services are on offer, identify gaps in provision, try to work better together, avoid duplication or confusion and promote services and information wherever possible. Issues to be considered are getting more people to utilise services, gain required volunteers, identify required training, transport and funding plus publicise available provision and encourage networking. In the interim, below are various organisations related to Older and Vulnerable Adults and this will be enhanced over the coming months. Other local organisations are available via the “Find Local Organisations” search on the left. The Stroke Association funds research in prevention, treatment and better methods of rehabilitation, and helps stroke patients and their families directly through its Life After Stroke Services. Independent Age is a national charity which aims to promote independence & alleviate hardship by providing financial & practical assistance, friendship and residential or nursing care to older people. The Over 55’s Forum participates in local affairs and promotes the views of the over 55’s through representation by many groups; high profile speakers, discuss local issues and organise events. Provides a range of mobility aids to hire including manual wheelchairs, powered wheelchairs, various sizes and styles of mobility scooters; and a range of travel scooters that can be taken on holiday. Basingstoke NeighbourCare actively promotes better health and well-being by reducing isolation and loneliness for vulnerable adults living in the Basingstoke area. The Basingstoke and District Disability Forum represents disabled people in Basingstoke and surrounding areas; including physical disability, sensory disability, learning disability & mental health. Connect to Support Hampshire is a new online information and advice guide and directory of local services for adults with care and support needs. Alzeihmers Society offers support for people living with dementia as well as support and advice for carers, family and friends; providing information on local support, health services & campaigning. 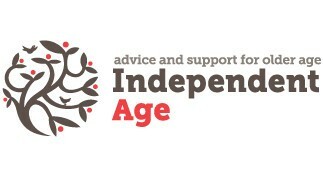 Age Concern Hampshire is an independent charity working across the county to promote independent living to over-50s. Everyone should be respected, valued and able to make informed choices. Our aim is to help people with dementia and their carers, family and friends to get the appropriate support from first diagnosis throughout their illness. We offer information, friendship & support to local people with Parkinson’s, their families & carers. 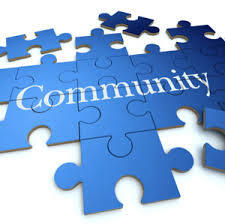 We also organise regular events and social activities. Meet other people affected by Parkinson’s. Basingstoke Community Transport specialises in the transportation of the mobility impaired in the local community and our Affiliated members. The Basingstoke Dementia Action Group (BASDAG) is a group of volunteers who have formed to help Basingstoke and Deane area become ‘dementia friendly’. Age UK’s vision is for a world where everyone can love later life. We do this by inspiring, supporting & enabling in a number of ways such as; money, health care, wellbeing, home, community. A free and confidential health information service originally developed by Basingstoke and North Hampshire NHS Foundation Trust and Macmillan Cancer Support. The Health Information Point is situated within the main entrance of Basingstoke and North Hampshire Hospital. Loneliness can have a devastating impact on the lives of older people. Be a Friend supports older people and by recruiting people to become a friend and help change the future of loneliness. Royal Voluntary Service wants to help create a society where everyone feels valued and involved whatever their age; holding social occasions, home repairs and national awareness. Hampshire Safeguarding Adults Board is a partnership committee, co-ordinated by the local authority, providing strategic leadership for adult safeguarding across the local authority area. The Older People’s Wellbeing Team support older people within a wide range of areas; providing a strategic approach to promoting & supporting older people to live as independently as possible. The independent living for older people web pages should help you to find a whole range of useful information for older people from Hampshire County Council, charities & partner agencies.